So, I was brought back to the hospital last Thursday and following a blood test was found to be anaemic again so underwent a couple more blood transfusions. The doctors have also continued to try to find the cause of my blood’s inability to clot, giving me many drips of various drugs in an attempt to solve the problem. Then they bought in an expert haematologist who quickly discovered that my blood completely lacks something called Factor F, which aids clotting. Apparently it’s extremely rare for anyone to lack Factor F. Anyway, she specially ordered in some Factor F pills, and all being well my biopsy should eventually take place on Tuesday. Up until now all the treatment I’ve received has been for anaemia and trying to find a way of making my blood clot. I’ve received no treatment whatsoever regarding the cancer, so hopefully following the biopsy and it’s results they can start with the radio and chemotherapy. Also, since New Year’s Eve I’ve been in a private ward following an extreme moment of human kindness by some nurses after noticing that I was going completely stir crazy at having to listen to the constant inane chat of my then fellow ward companions and their equally tedious visitors. It’s been wonderful to enjoy the peace. And that’s all the news for now – my biopsy will hopefully take place on Tuesday and following the results, treatment proper will eventually begin. I hope you’re all having a great New Year. Thank you for your kind, caring words. I hope you all had a lovely Christmas. I wish I could say the same for myself. I was so thrilled at being suddenly told that I could return home for Christmas - mainly because I could access the internet - that I hadn't thought through the implications. Firstly, the turkey crown and trimmings I'd previously bought were frozen - requiring over 48 hours of defrosting - so they were out of the the question. All of the fresh vegetables and fruit I had in the fridge had begun to rot after amost a week. So they all had to be be thrown away. And most of the cupboards were bare. My health is such that there's absolutely no way I can make it to the shops, albiet that thay're only two minutes walk away. And even if I'd made it, I just don't have the energy to carry even not particularly heavy weights. So for the past few days, I've basicallly starved. I had a few boxes of chocolates, but they just gave me indigestion. I've spent most of the time in bed, dreamimg of comfort foods like tomato and chicken soup and fish pie with mashed potato and quiche and ... All of which are available a few hundred yards away - but I haven't beeen able to get them. I feel so weak and also I've started coughing, which up until now hasn't happened at all. The hospital transport should be here soon - I know I'll be in for a couple of days at least, but unless they or social services can arrange for someone to get me some provisisions, I won't be rushing to return home. I'm about to undergo radio and chemotherapy and should be building myself up, not starving myself to a point of near collapse. And then there was my other plan. I've been with BT Broadband for over 15 years - most recently with their most expensive top of the range high speed product. I recalled that they now also own a mobile provider. So on Monday I called, explaining my position and seeing if I could buy a smart phone with internet data acccess. No problem they said. Next day delivery they said. I was absolutely delighted. My internet connnection problems were solved. However, on Tuesday I received a text message. Delivery should be Wednesday. Then another text message - delivery should be Thursday. I callled them and was told that actually delivery will now most likely be next week. No problem I thought - they could deliver to the hospital. On no they said. Delivery has to be made to the address the order was made from - for 'security reasons'. I've been unable to acertain exactly what these 'security reasons' are, but they're adamant that they can only deliver to my home address even though they know my situation and that fact that I'll be just a few miles away in hospital. I've appealed with them, I've pleaded with them, but to no avail. It's so frustrating that thay should be so inflexible. And I'm so very dispppointed. So, I bid you all a very happy New Year. I don't know when I'll be able to get in touch again. Take care of yourselves. I'm just geting weaker and can't fight it any more. Many thanks to to the commentatators who have pretty much confirmed what I think is wrong with - alhtough only time will tell for sure. I don't have a smartphone or tablet, but have packed my laptop and will hopefully be able to keep in touch with that. Please wish me luck, my blood is very thin and I do't heal well - I'm absolutelty terrified. But what became quickly apparent soon after uploading my last post was quite how unwell I am. Fistly, many, many thanks for all of your kind comments following my last post. They are extremely appreciated. Similarly, thank you very much for all of the emails I've received - none of which I've replied to as of yet - but this is the first time I've sat down at a computer for more than a couple of minutes in weeks. Immediately after uploading my last post here, I wandered around to the local shops - which are a two minute walk away - and within minutes was virtually paralysed with exhaustion. I managed to purchase a few things then had to sit on the pavement outside the store before eventually making it back home. I know I should have visted the doctor, but it's quite a walk away - and I'd never have made it. Also, the last time I visted the shops, due to the circumstances, I didn't get any cash from the ATM - so I've had no money to get a taxi. I've been hoping that if I rested I would be able to regain some energy. Sadly, this has not happened. Thankfully my fridge, freeezer and cupoards were previously well stocked - so I've been able to eat okay. However, as of this morning my fridge was completely empty, so, for the first time in weeks I had to venture out to the shops again. I thought if 'paced' myself I'd be okay. Sadly this didn't turn out to be the case and I had what I can only really describe as having a 'funny turn'. The very kind ladies in the local Co-op quickly got me a chair and then ordered me a taxi in order to make the short journey home. And so here I am. I suspect I should be in hospital - I really am in a lot of pain - and just walking upstairs can be a massive struggle. However, I'm a stubborn bloody idiot and having spent the best part of a year in hospital when I was a child, I think it's fair to say I'm not a big fan of the places. Particularly at this time of year. So, unless something dramatic happens, my plan is to pace myself over the next three weeks or so - I think I have enough food in the freezer and cupboards - and then contact the medical people. Due to various anxiety 'issues' I've suffered over the last decade or so, I've lost touch with just about everyone I used to consider to be a 'friend'. So I'm pretty much on my own with this one. Apologies for this being a misery-fest, I but thought it was best to keep you up to date. Also, while I'm thankful to Ratz for organising the gofundme page, I'd be extremely grateful if the money kindly donated was returned to the original donors. I'll do my best to keep you up to date with whatever transpires. In the meantime, I hope you have a lovely Christmas and a Happy New Year. 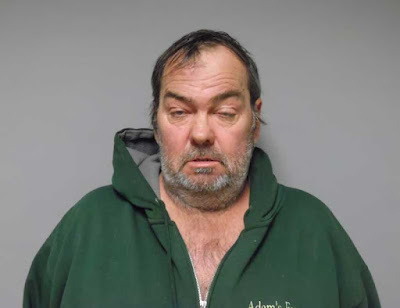 Police say a man from Panton, Vermont, was arrested following a dispute over beef stew. At approximately 3:20pm on Monday members of the Vermont State Police responded to a family disturbance.. Upon arrival Troopers were met by Richard Marszalkowski and a woman who was later determined to be the victim. It was determined through investigation that Marszalkowki and the female had an argument about beef stew. The victim told troopers that Marszalkowki had pushed her back and caused pain to her neck. Marszalkowki was found to be severely intoxicated, he later submitted to a Preliminary Breath Test (PBT) at which point he blew a 0.227%. Marszalkowki was placed under arrest and charged with Domestic Assault. 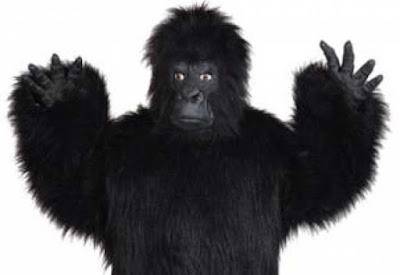 Police in Rexburg, Idaho, are trying to find a man who dressed up as a gorilla and burst into a Brigham Young University student apartment on Friday night. Officers were called to Avonlea Apartments after the female occupants reported the incident. “They were sitting at home when the gorilla ran through the front door and into the other room,” Rexburg Police Capt. Randy Lewis said. “He knocked over a few things before leaving the apartment.” Lewis said the students called the police because they were scared and investigators learned a similar incident happened at a men’s student apartment last week. 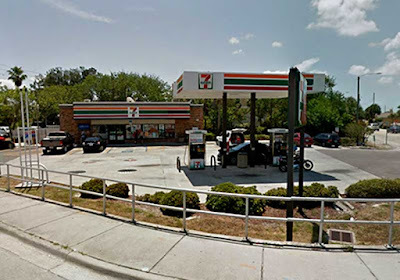 Unable to locate the bathroom at a 7-Eleven, a Florida man opted instead to relieve himself in the store’s walk-in cooler, where six cases of beer were allegedly defiled. 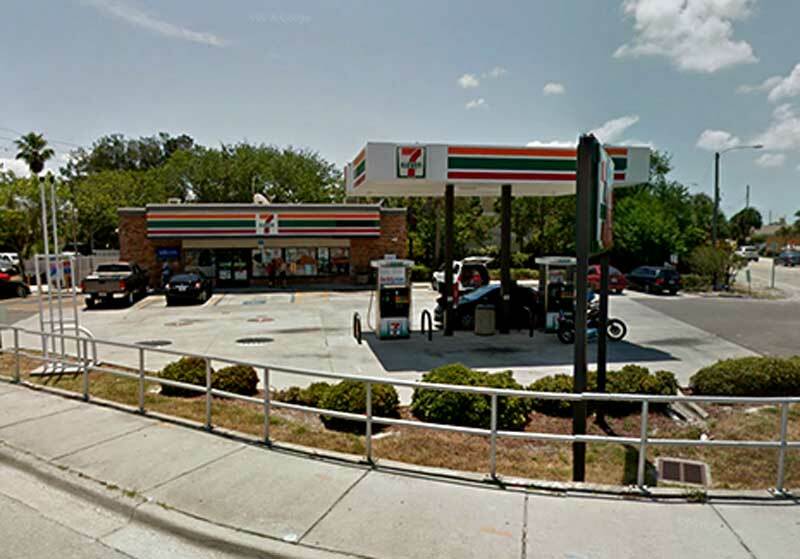 According to police, Daniel Colon, 46, entered the Treasure Island convenience store at around 7:30pm on Saturday looking for a bathroom. When that search failed, Colon opened a door marked “Employees Only,” a criminal complaint alleges. He then entered what turned out to be the 7-Eleven’s walk-in cooler. Colon then began urinating on “several cases of beer.” A store employee who had spotted Colon entering the cooler confronted him and told him to stop. Colon then left the store and drove away. Colon, officers reported, “urinated over 6 cases of Busch Light,” causing the store a loss of nearly $100. Colon was subsequently arrested after his vehicle was pulled over by police searching for the 7-Eleven suspect. In addition to criminal mischief and burglary charges stemming from the cooler urination, Colon was also charged with drunk driving. 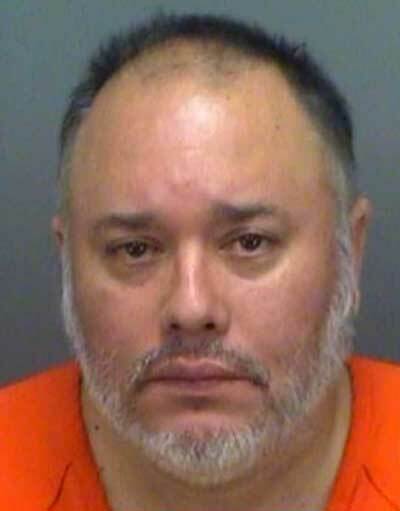 After being read his rights, Colon reportedly told police he “could not find the bathroom so he entered the walk-in cooler.” Colon, a Tampa resident, is locked up in lieu of $3,250 bond. Police in Wodonga, Victoria, Australia,are working on a case they are hoping to get to the bottom of. Officers were baffled by a particularly unusual print detected on a glass door, after a break-in at the local community hall. While the scene was being dusted for prints, a shape from a pantless bare bottom began to appear. 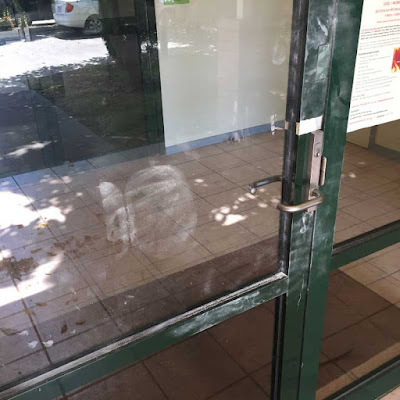 "He's going to have to throw his finger print brush out now I think," said Detective Sergeant Graeme Simpfendorfer. Police in say it is thought the break-in occurred at the hall sometime on Friday night, when damage was caused by a fire extinguisher being set off at the property. The thieves then returned on Saturday and stole a television. It is still not known exactly why the offender left the unexpected mark behind. "They're having a joke, or they're actually trying to lean up against the door to break in, but I don't know why they'd do it pantsless," crime scene sergeant Shane Martin said. 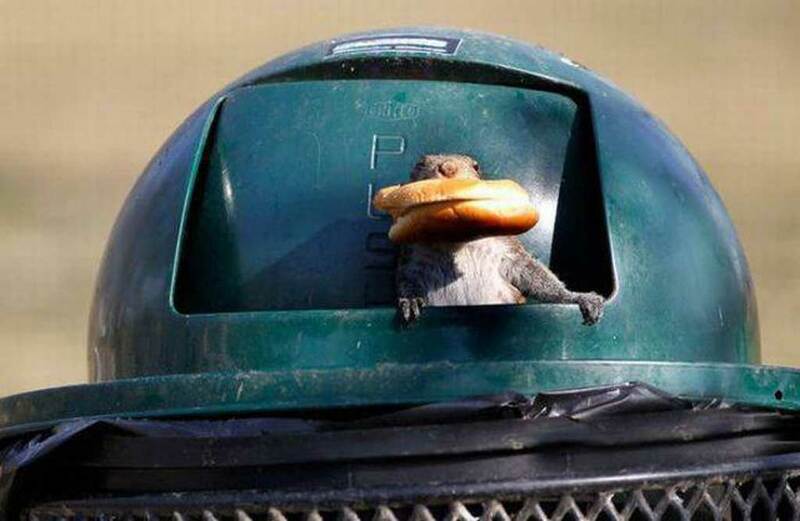 The theft was reported on Sunday. It is believed there were three offenders, thought to be in their late teens to early twenties. Despite the unusual find at the scene, police have said in all seriousness a lot of damage has been done at the property and they are keen to get the television for the community hall returned. Wodonga is a town about 300km (180 miles) north-east of Melbourne. At around 3am on Saturday morning police from Springwood in Queensland, Australia, were called to Woodridge. Local residents had stopped the female driver of a vehicle whom they believed was driving whilst drunk. 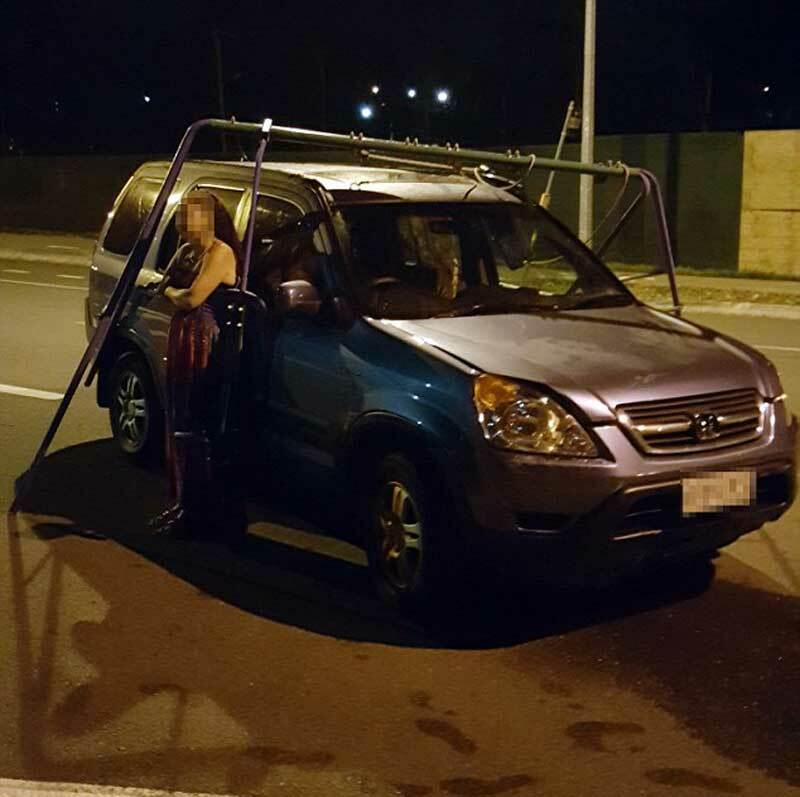 One of the clues that tipped them off was the children’s swing set wedged onto the roof of the vehicle. The residents claimed that the driver allegedly lost control of her vehicle driving into the back yard of a house where she then ploughed straight through the children’s swing set lodging it securely to the vehicle's roof. Police will allege the woman provided a breath alcohol reading of 0.188 per cent; almost four times over the legal limit. The 38-year-old female driver from Woodridge was charged with driving whilst under the influence of liquor and will appear in Beenleigh Magistrates Court on December 6. A pensioner was sent a speeding ticket by police, who accused him of travelling at 42mph on his mobility scooter. 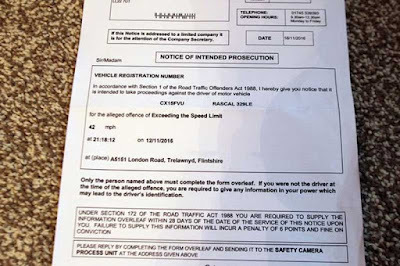 James Roberts was sent a notice of intended prosecution from North Wales Police despite the fact his mode of travel has a maximum speed of 8mph. 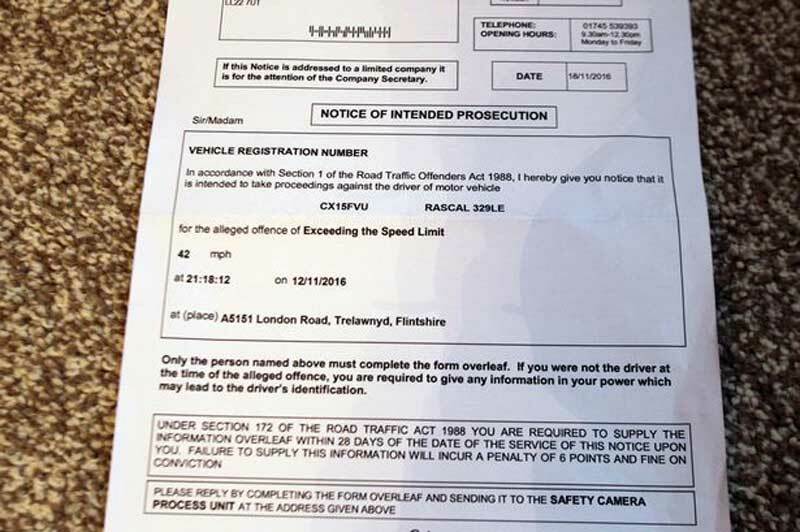 According to police the 74-year-old's vehicle was caught travelling at 42mph on the 30mph A5151 London Road in Trelawnyd, Flintshire on November 12. Despite the fact the grandfather-of-one from Abergele has been laid up at home for six weeks having undergone triple heart surgery. Mr Roberts said: “When I opened the letter, I thought it was a joke but I soon found out that it wasn’t. “I’ve barely been out of the house these last six weeks, never mind going to Trelawnyd at that time of night. 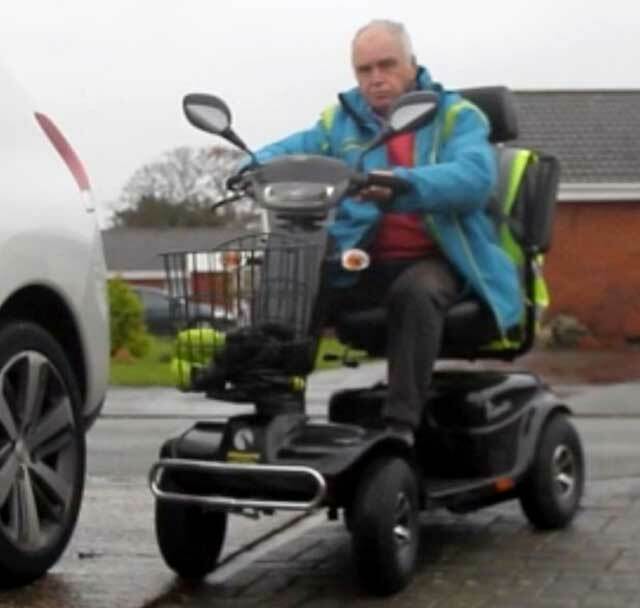 My scooter has a registration number but it doesn’t have number plates on it so I have no idea what’s happened here.” Mr Roberts got the battery-operated scooter 12 months ago when problems with his heart led to angina and left him unable to walk short distances. 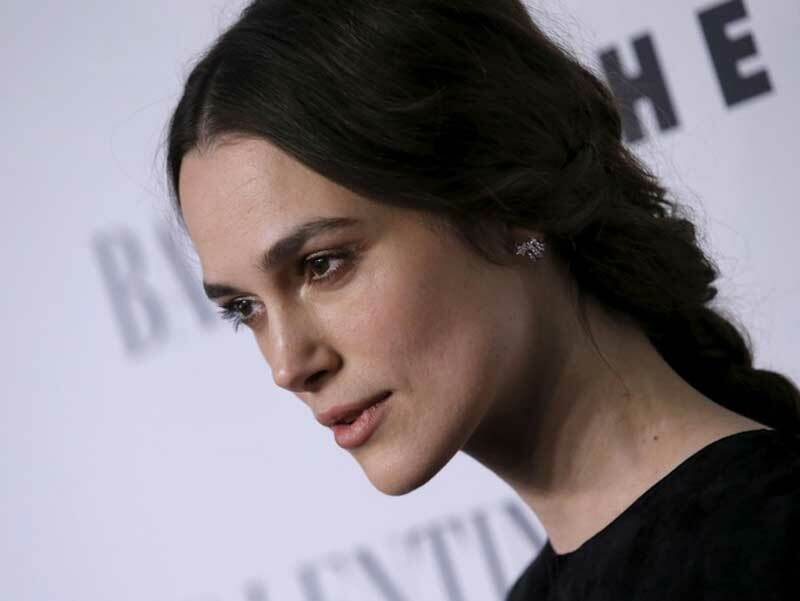 A man has pleaded guilty to stalking actress Keira Knightley by making miaowing noises through her letterbox and bombarding her with cat-themed messages. Mark Revill, 49, from Hackney, east London, bombarded her with letters and shouted through her letterbox, Highbury Corner Magistrates’ Court, was told. 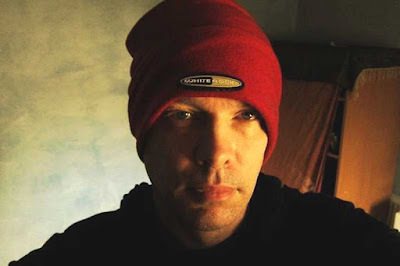 The charge states: “The defendant pursued a course of conduct which amounted to the stalking of Keira Knightly and which knew or ought to have known amounted to the harassment of her in that attending her address on numerous occasions, making noises through her letterbox and sending letters and other communications.” The court heard that Revill, a music composer, had stood outside her house for an hour without making contact on at least one occasion. His lawyer said he was a music composer and merely wanted to promote that by getting the celebrity to listen to it. Revill admitted to police that he was in love with her. The prosecution said: "After putting letters through the letterbox and receiving no response he goes to the letterbox and miaows through it." One letter had a picture of three cats apparently winking, the court heard. The court heard the notes were handwritten with no stamps so were hand delivered. Revill was remanded in custody and will appear at Highbury Magistrates' Court for sentencing on December 1. 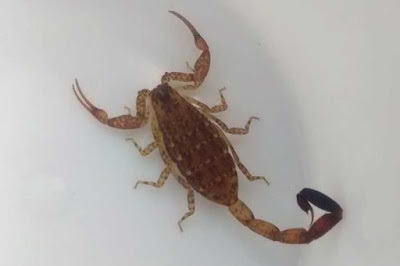 A family returned home from holiday in Mexico with an unusual souvenir - a "highly venomous" orange scorpion. As well as negotiating a 10-hour flight back to the UK, the 3in (8cm) arachnid somehow survived being put through the wash in Rochdale, Lancashire. The family contacted the RSPCA after finding the scorpion "dying" following his washing machine ordeal. Happily, though, he is now recovering at a specialist rescue centre. RSPCA animal collection officer John Greaves said the family, who have not been named, "had no idea they had a little stowaway on board" when they packed their bags. He said the creature must have scampered into their clothes before being placed in the suitcase. "They were really worried about him when they got in touch as the clothes he was inside had just been through the wash. They said he looked like he was dying. 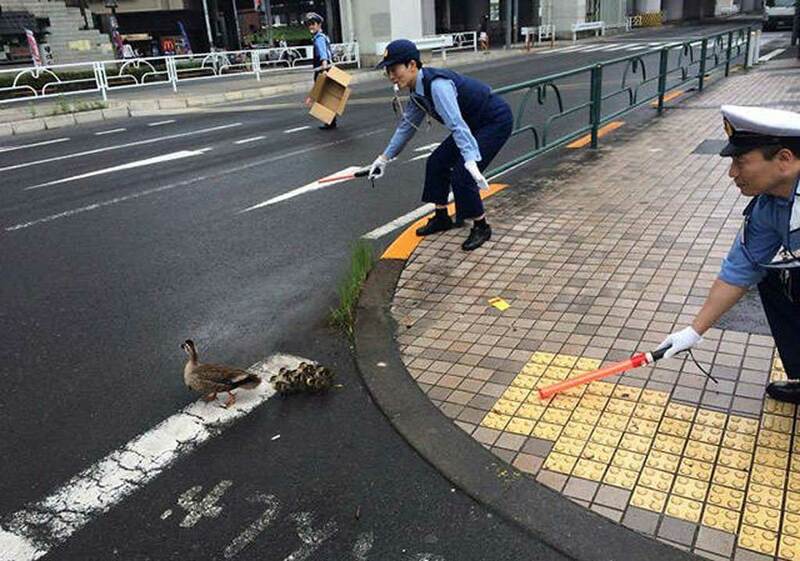 But he's obviously a tough little creature because he's survived his ordeal." Experts believe the scorpion came from the Mexican desert. "If it's an adult, then it's likely to be highly venomous due to its size and the conditions it would hunt in out in the wild," Insp Greaves added. "It would require a very potent venom to immobilise its prey." An RSPCA spokeswoman said she did not know the scorpion's species - or whether he had been given a name.